The Reebok Freestyle Hi has made a comeback. You were sleep if you don't remember the dope marketing campaign courtesy of Teyana Taylor. What I didn't see coming was a collaboration with the MUVA herself, Ms. Amber Rose. After teasing information of a possible shoe deal via Complex News, she unveiled last week on her Instagram that she would be dropping a new sneaker with Reebok. While I can't say that I agree with some of her platform messages, I can give her a hand clap for empowering others including herself. We are all here to champion other females in this thing called life. Back to the sneaker. 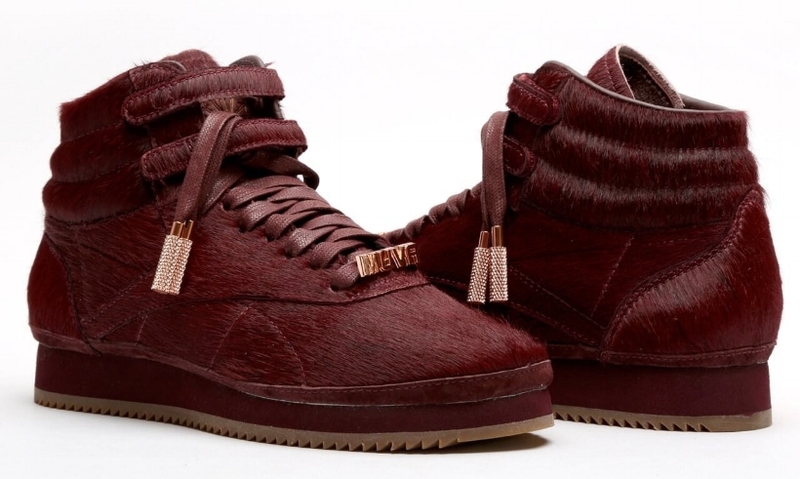 The Amber Rose Reebok is a take on the classic Freestyle Hi silhouette and is appropriately named the "Muva Fuka". Knowing Amber's bold persona, I'm not shocked. The sneaker is dipped in a deep burgundy hue that sits on a burgundy midsole and gum rubber outsole. Leather or suede upper? 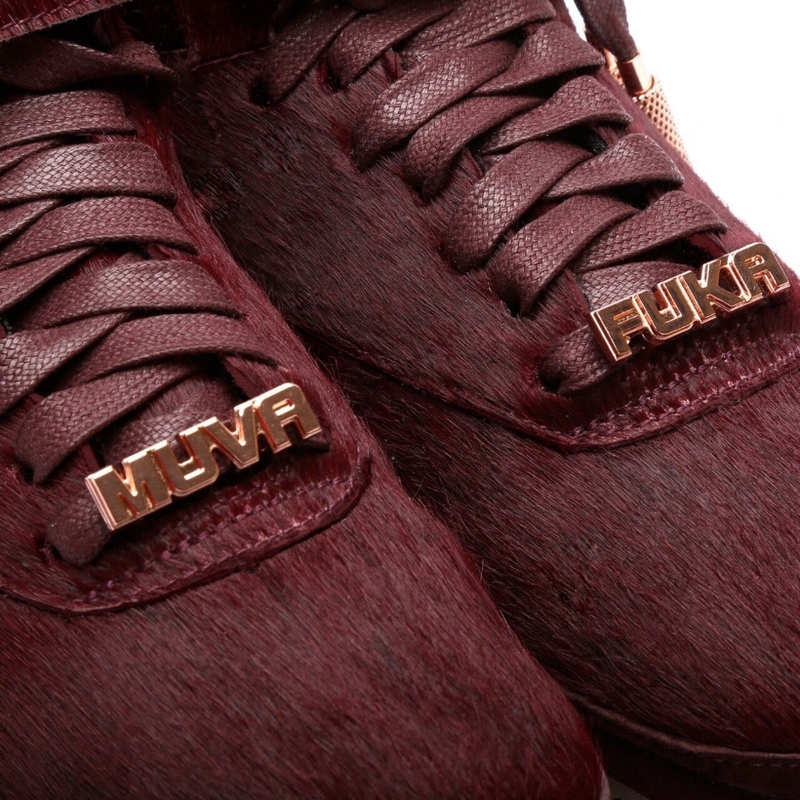 Of course not, this sneaker has an upper constructed of a pony hair material with metal lace tips and bold lace debraes that read "MUVA" and "FUKA". This Freestyle Hi has all the "Rosebuds" in a frenzy, but I want to see what others think. Are you a fan or nah? I have to say Reebok reached way to the left with this bold silhouette. No word yet on the release date or price tag, but you know we will keep our CNK gang updated. Stay tuned. Reebok delivers an innovative design and an eye-catching colorway. Disclaimer: There was no pony harmed in the making of this post.